Another reminder that it is time again for our annual School Climate Survey. This survey, available online and in hard copy in both English and Spanish, is an important way for all the schools and the district as a whole to evaluate our progress toward creating a safe, inclusive, welcoming, and appropriate school environment for all students and families. It is very important for us to hear from all families so I encourage everyone to participate. As an incentive, I'll be providing small treats to students as surveys are finished. In order for your child/ren to receive the treat, you need to complete the survey and return the cover sheet so I know who gets treats. You may do one survey for all your children, or, if they have different experiences at their school at or at multiple schools, you can complete multiple copies on line or in hard copy. I highly encourage you to do the survey online at the following link. It saves time for school staff and you have 100% confidentiality. Thank you in advance for your participation. Survey should be completed by March 30th. 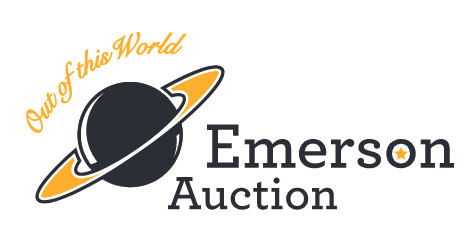 Emerson Auction Party this Friday Night! Come celebrate and support our amazing school at the 2018 Emerson Auction! We hope you will join us for this evening of grownup fun, including dinner, drinks, and hanging out with an awesome group of Emerson parents, teachers, and staff! They’ll also be terrific items up for bid, such as your child(ren)’s class art, special outings with teachers and staff, and more. Buy your tickets at the door or online at http://events.readysetauction.com/emersonelementaryschool/auction2018/. Regular tickets are $35/person. Ticket prices too high for your family's budget? Select the “Pay What You Can” option online and make a contribution that is comfortable for your family (as low as $1). Free childcare (for ages 5-12) provided by the Kids World team. Drop off your kid(s) for a “Coco Fiesta” at Emerson starting at 6:15 p.m. Reserve your childcare slot(s) now at https://www.surveymonkey.com/r/SCYGFDQ. See you at the Auction Party! Join Emerson’s PTA Board for the 2018-19 School Year! The Emerson PTA sponsors programs and activities that enhance the education and school experience of all students. Please support Emerson by joining the PTA Board and helping to make programmatic and funding decisions on behalf of our community. Being a part of the Board is an excellent opportunity to get to know other parents, to learn about and influence the workings of the school, and to share your skills and ideas to benefit all of our children. For more information, contact Ashleigh Kanat, PTA Vice President, or David Rose, PTA President, on the school yard or via email at emersonbearcubspta@gmail.com. PTA Board elections will take place at the PTA Association later this spring. We invite interested parents to submit their names, preferably by April 1st. Calling all Treehouse Series fans! Join bestselling author Andy Griffiths as he presents the newest release in his award-winning series, The 78-Story Treehouse. This free event is best for 5-10 year olds, but all ages are welcome. Buy your book at the theater, or before the event, at Mrs. Dalloway’s, and have it signed after the presentation. Reserve seats at Eventbrite.com. Saturday, March 24, 11am at Rialto Cinemas Elmwood, 2966 College Ave.
… And Then Meet Children’s Book Author Jason Reynolds on March 29th! Celebrate two new titles from Newbery-winner and National Book Award finalist, Jason Reynolds:Sunny, the third book in the Track series andFor Every One, a stirring and inspirational poem. Free event, but to reserve your seat buy a book at Mrs. Dalloway’s or http://www.mrsdalloways.com. Or if you don’t want to buy a book in advance, RSVP at jasonreynoldsmrsd.eventbrite.com. March 29th at 6:30pm at Mrs. Dalloway’s bookstore, 2904 College Ave.
Help Build an Elementary School Library in Ghana! Fourth graders are leading a school-wide book donation drive through the African Library Project to help build an elementary school library for children in Ghana. They are in need of gently used, or new books that are appropriate for grades K-5. You can drop off at either 4th grade classroom, or at the main book donation bin in our office of parent engagement, near the front of the school by Friday, April 13. For more information or if you’d like to help out please reach out to Tangy Franks at tangyfranks@gmail.com.